...one's life does not consist in the abundance of the things he possesses. 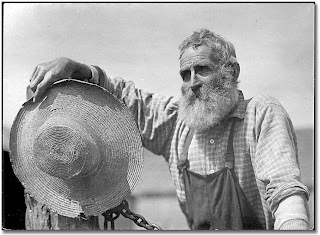 In the late 1700s, the manager of Baltimore's largest hotel refused lodging to a man dressed like a farmer because he was afraid the man's humble appearance would shame his establishment. So the man left. Later, the innkeeper discovered that he had turned away none other than Thomas Jefferson! He immediately sent a note to Jefferson asking him to return to the hotel and be his guest, to which Jefferson replied, "I have already engaged a room. I value his good intentions highly but if he has no place for a dirty American farmer, he has none for the Vice President of the United States." We should never disregard the value or worth of those who have little in this world or show partiality to those who have much. The Creator of the Universe was born into a family that was poor in the eyes of society, but God found them worthy to raise His own Son. Let us show the love of Christ to all without partiality because oftentimes it is those with little to speak of in this world who have much stored up in heaven. God gave us the gift of Himself when He sent His Son to this dark, dreary place. Have we accepted Him graciously and thankfully as the poor man did, or do we take this gift for granted? This Christmas season, let’s remember to thank Him for His most precious gift to us: Himself. 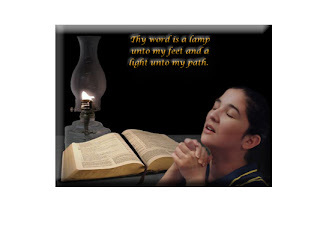 As a child of God, often we look for help in the word of God but don’t know where to find it. One of the wonderful things about the “World Wide Web” you can find a lot of useful resources. BibleGateway.com is a site that I stumbled onto while updating my blog. 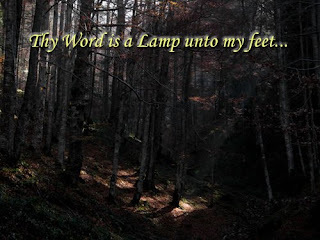 It’s a site that can be very useful to anyone seeking deeper meaning from the word of God. This site holds a vast amount of valuable information and study helps. Here are just a few things the site has to offer: bible reading, bible on audio, reference guides, commentaries, and much more. You can use it on your own blog site along with other links they offer for free. Please try this site and give me your feed back it’s awesome. To see for yourself and experience all of its benefits, click the picture above or the link in the right column labeled “BibleGateway.com,” you’ll be amazed. 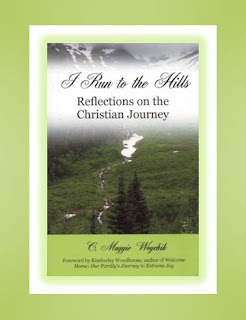 “I Run to the Hills,” By C. Maggie Woychik is a wonderfully written book about a child of God’s pilgrimage and the many obstacles they face along life’s way. Maggie shares with her readers the trials, heartaches, difficulties, and life’s lessons she has experienced. Using these life learning experiences; she helps others as they climb slippery Alpine slopes. As I started reading, I quickly learned this book was not one that could just be read, but had to be savored like a fine meal. Rich in life’s lessons and full of insight, I found myself reading, meditating, and then quietly alone with my Lord allowing Him to redirect my own life. “I Run to the Hills,” will challenge your heart and make you examine yourself. It will force you to rethink your motives and actions for the Lord and His work. This book is a must read for any child of God who wants to achieve a closer walk with God. A teacher from a Christian school finished the lesson for the day. It was now time for question and answers. A little girl sat beside her mother as she read her a story from one of her favorite books. While listening to her mother read she realized that her mother was wearing white gloves. She thought for a moment and could not remember a time when her mother didn’t wear gloves. This sparked the girl’s curiosity. When her mother finished reading the book she ask her a question, “Mother, why do you always wear those gloves?” Her mother replied, “Because my hands are ugly.” With a quizzical look on her face her daughter asks, “What do you mean they’re ugly?” “Well they’re all scarred and crooked, they’re just not pretty to look at,” was her tender reply. The girl asks her mother how it happened; her mother thought for a moment and then shared this story with her. Her daughter gently placed her hands in hers and said, “Can I see them?” Her mother was afraid that if she removed the gloves it would frighten her daughter. Trying to avoid the situation she replied, “They’re not pretty to look at they’re awful.” Not easily swayed her daughter continued to plea with her. 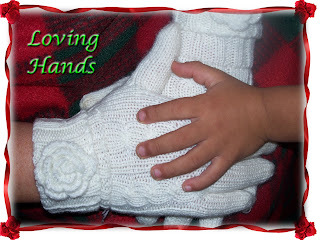 Looking at her daughter, seeing the compassion in her eyes she slowly removed the gloves. Watching her daughters face for any signs of fright, she was touched by what she saw. Her daughter slowly felt of her hands and then lifted them to her face. Her soft blue eyes welled with tears and gently flowed down her cheeks moistening her mother’s hands. Both their eyes met and her daughter said in a quivering voice, “Oh mother, these are the most beautiful hands I’ve ever seen. Please, don’t ever cover them again.” They both sat embracing one another in silent love. Have you been embarrassed about sharing Gods love? Are you afraid others will whisper and talk about you? Jesus’ suffering was far greater than anyone can understand. He gave His all on the cross. So don’t be embarrassed to share with others what he has done for you. Let His scars show so others may see and feel His love. 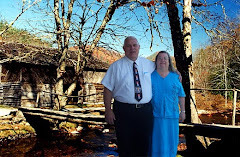 My pastor while preaching one Sunday morning shared with the congregation a frightening experience he encountered as a child on the family farm. Early in the morning and as he turned over in his bed, he noticed a bright orange glow from his bedroom window. Jumping to his feet to investigate this unusual light, he ran to his window and saw the barn on fire. He rushed to his parent’s room, woke his father and told him what was happening. His father along with his older brothers rushed to the barn to release the live stock. Later that morning while looking over the damage, he noticed his prize hen had been killed in the fire. 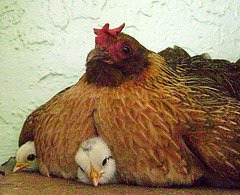 When they removed the hen, three little chicks emerged unscathed by the fire protected by a mothers love. Most parents understand this sort of selfless love. When a little one is sick with fever, we’ll spend sleepless nights trying to comfort them, and if necessary take them to a doctor no matter the cost. Some mothers will risk their own life to save the life of their child. All mothers for a brief moment walk through the valley of the shadow of death, giving birth to a child whom they love dearly. On occasion a parent will even give an organ to extend the life of the one most precious to their heart. There have been times in my life when I wasn’t aware of the danger that surrounded me. Hidden dangers the enemy had waiting for me, hoping to trap me and bring me into his snare. He’d lurk in the shadows, eager to bring me down into the pit of despair. Many times he tried to destroy my testimony for the Lord. Sometimes he would bring railing accusations against my character. He has tried to break up my family and leave it in shambles. The enemy has tried to make me question my love for the Lord. During these times of despair in my life, I’ve found shelter under his wings. As a child of God, are you facing trials and dangers in your life? Do you feel that the devil has you in his sights? Is the pressure becoming insurmountable and you feel that it’s all about to end? 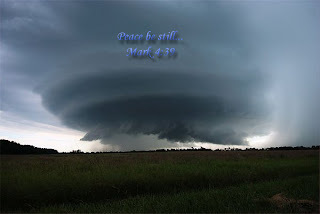 Don’t give up, run to the out stretched arms of Jesus. He’s waiting to place you under his wings and protect you from all harm. His love to protect us was proven on the cross of Calvary. 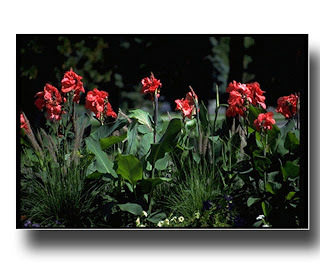 I remember as a child living in north central Texas, my brothers, sisters and I looked forward to summer vacation. One summer was particularly exciting to us; it was the summer we went to see our grandparents. You have to understand, we hadn’t seen them for more than four years. The day had finally arrived for us to start our journey east. It would be a long and exhaustive trip traveling from Texas to North Carolina. One filled with excitement, restless moments, urgent bathroom breaks, and five kids cramped for space. One question that kept popping up amongst us kids was, “Are we there yet?” I think that must be a universal question that has been passed down from generation to generation. This particular trip seemed to be more challenging than others we had taken. Along the way we experienced car troubles, my sister got sick, and all of us got a spanking at one time or another. But in the end it was worth it all to see the ones we love so dearly while spending time together with them. As a child of God talking of our heavenly home stirs our emotions, brings about a feeling of excitement, and great anticipation. 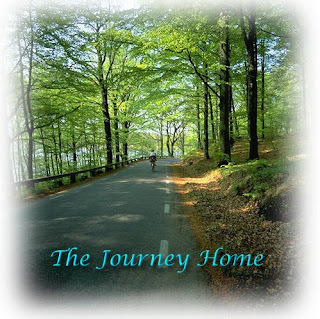 Some of the exciting moments in ones life on this journey home can be the salvation of a loved one or friend. It could be the announcement of the calling of God on your life. The union of a man and woman as husband and wife brought together by God. It could be the birth of a child who was given no hope of survival, but became possible by the intervention of a loving Lord. It could be the answer to a long awaited prayer. The journey home can also be filled with pot holes, bad curves, drop-offs, and unexpected delays. Things like life-long sickness, untimely deaths, divorce, job loss, spiritual disappointments, and the feeling of failure. The trials we face while on our journey home can make us feel like throwing in the towel and giving up. We’ve all experienced it at one time or another in our life. The two on the road to Emmaus experienced defeat after the one they expected to deliver Israel had been killed. They had given up, thrown in the towel, called it quits and were even discussing it on their way back when Jesus showed up. The burning presence of Christ started filling their hearts. Despair and doubt started to flee. A newness of life started filling their souls, giving them great comfort and hope, a new outlook on life and their journey home. As a child of God, when the journey home feels hopeless and it seems there’s no help in sight, just remember Jesus is with us on our journey home. A man walking to work one day noticed a little boy on the street corner with a box full of puppies. On the side of the box was a sign that read, "Methodist puppies for sale." A week later the same man noticed the little boy with the same puppies. Realizing the sign had been changed from, "Methodist puppies for sale to Baptist puppies for sale," the man stopped to enquire about the change. He ask, "Son, when I came through here last week the sign read; Methodist puppies for sale and now you have a sign that says Baptist puppies for sale. "The boy responded, "That’s right." The man asks, "Aren’t these the same puppies?" The boy replied, "Yes sir." The man asks with a puzzled look, "Well, what's the difference between last week and this week?" The boy answered with a grin, "last week they couldn't see, this week their eyes were open." Practically everyone loves diamonds, especially the ladies. If you don’t believe it, watch her face when presenting her with one. I remember the first diamond I purchased for my wife to be, it was a promise ring with a diamond chip. Ok, so it wasn’t a cut diamond, but it was all I could afford at the time. When I gave her the ring and asked her to marry me, her face beamed with joy. I later learned in our marriage, that her aunt asked her for a magnifying glass so she could look for the diamond. Reflecting back to that time in our life, we both laugh at the moment. What is it about diamonds that make them such a coveted possession? Is it the value of the gem? Could it be the brilliancy of its beauty? Maybe it’s the design or the prestige of owning one? 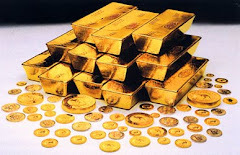 Its cost can range from just a few dollars, to millions of dollars. Many people around the world desire this priceless gem. Its beauty has been displayed by royalty, and worn by the most meager of souls as a promise given. What ever it is that attracts us to it, the diamond is a gem that demands attention. The diamond starts its arduous journey as a piece of coal. Subject to extreme pressure and heat over a period of years, later becoming a diamond in the rough. To the untrained eye it would appear to be nothing more than a stone, but to a gemologist it’s a jewel in the making. Not all diamonds make it to the display case of the jewelers to show forth its beauty, some are used for industrial purposes. The creation of a beautifully cut gem like a diamond requires years of training and skill. With this knowledge, a Master Diamond cutter can transform what would appear to most as an ordinary stone, into a beautiful master piece for all to admire. First he examines the stone for any flaws that may obscure its beauty. If any are found, the stone will be carefully marked to remove them during the cutting process. Next he will draw a blue print of the master piece he’s creating. Once all steps have been completed, he will begin shaping the stone to bring out the beauty for which it was designed. In the early stages of our development as a child of God, we were nothing more than an old chunk of coal. But through the fiery trails and pressures in our life, they start shaping us into a diamond in the rough. Then the Master takes us into his hands and starts cutting away the flaws, removing the rough edges, and places us on the cutters wheel. When all is finished, He will examine us for brilliancy, color, and grade; later to be sent to a jeweler and placed into a set for all to see. If the trials of you faith are wearing you down, and it seems like there is no hope. 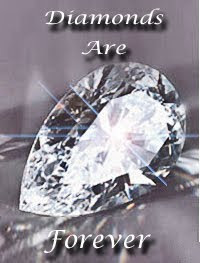 Just remember, you are a diamond in the rough, placed in the Master’s hands. Let him bring out the best in you, so that all may see and glorify Him. My wife and I recently received word of the passing of a dear friend and neighbor. We were in awe, and heart broken from the news. The words spoken earlier that morning from my wife continue to ring in my mind; “Louis she’s gone.” There were two other times in my life when those words rang out; the passing of my Dad, and my wife’s sister. As the day passed on, I began to ponder memories of the past. You know, those wonderful times you had as a child or even as an adult; memories that seem like it was only yesterday. Like the time I was playing in the snow with my friends, when suddenly out of nowhere a snow ball hit me from behind. I turned to see who the sneak was that hit me, and there stood my dad grinning ready to throw another. That’s just one of the many fun memories I have of my childhood. Other memories that come to mind are those that my dad taught me as a young man. Things like working hard for your keep; taking care of your family and keeping a good name. He often told me, “Son, you’re not rich, and the only thing you have in life is your name; so take care of it.” One of the memories of my dad is his love for fixing cars. He would often allow me to help by cleaning parts to the car, removing the engine, taking it apart and various other tasks involved in rebuilding engines. Because of his hard work, love for his family, and instructions in life; I too continue to pass these values on to my children. The recent death of our friend caused me to think of the legacy she left behind for her family. Here was a single mother that had raised two girls without any help from the father. While this situation forced her to become independent and self-supported, she worked hard to provide them with the necessary things they needed in life. Because of this, both grew up to become fine ladies and are doing well for themselves and now have children of their own. One thing I noticed about her was her love for her girls, and especially for her grandchildren. This was evident by the love and support she gave for her family; legacies that I now see reflected in them. Seeing the legacy she left for her family, and what my dad left for me, I think of 2 Timothy 1:5, When I call to remembrance the unfeigned faith that is in thee, which dwelt first in thy grandmother Lois, and thy mother Eunice; and I am persuaded that in thee also. I wonder what kind of legacy I’m leaving for my children and their family. Will others be able to look back at my legacy and see God? Or will they say, my, my, my, what a shame? 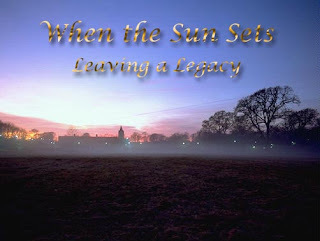 I hope the legacy I leave behind will be one that glorifies God. What about you? What kind of legacy will you leave behind?